Hi Quick Quotes Fans! It's Cathy hosting the blog today...and I have a couple of fun projects to share with you. I had so much fun creating with some Club Q kits. I loved creating with these, so much gorgeous product and inspiration in these kits! First up, I have little canvas that I created from the Altered Kit. I used the little canvas that is designed for making the gorgeous mini album and created my own little inspiration for my scrap studio! I love how this turned out, it was an easy and quick little project. My Silhouette Cameo did most of the work and the gorgeous Quick Quotes products completed it with ease. The new Baggage Claim is beyond perfect for this project! My next project took just a little bit of time and I still need the perfect frame for it. I just couldn't find the perfect frame here in our small town..so I will post an update when I find it! I used an 8 1/2 x 11 piece of burlap for my base, inked it with my favorite new Powderpuff Ink...Caribbean Blue. 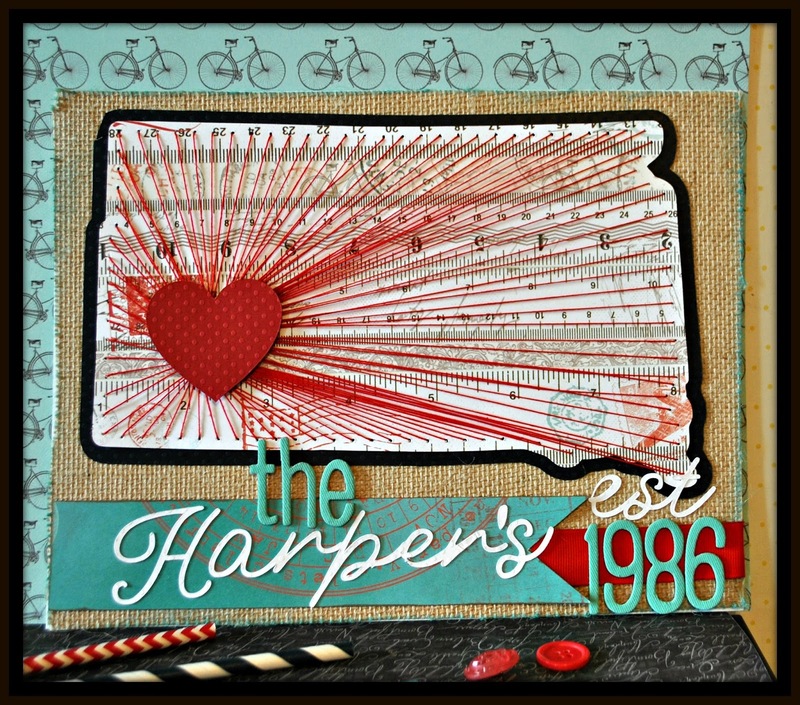 I cut the South Dakota shape, banner and words with the Silhouette Cameo. These papers came out of the Page Layout Kit. I also used the Cameo to pierce all my holes for the string art too! So next, all I had to do was the stitching and yes, it took me a little bit of time but it was well worth it! 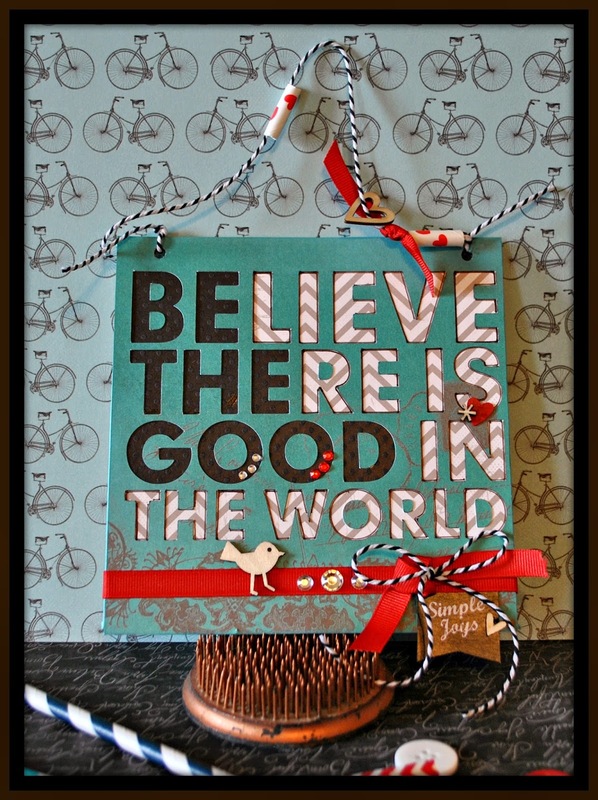 I love this project and once I get the perfect frame it will be sitting on my sofa table as you enter our home! Super cute hangings Cathy! I LOVE the string art!